First of all a quick introduction… We celebrated with Sean and Erin for their wedding reception at Grand Valley Alumni. Allendale is a quite a drive, but hey we don’t discriminate. 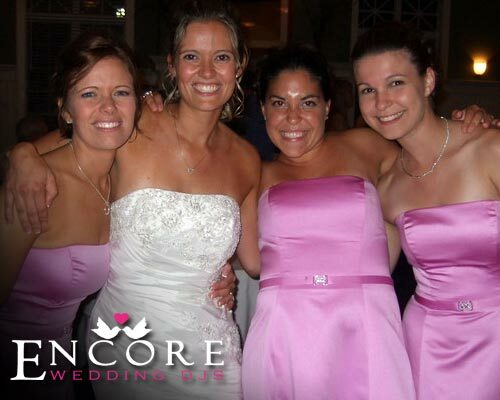 Encore services every city in Michigan. This hall is really cool, it has names etched into the ceiling rafters. We have to be a pretty amazing company, because guests put their CELLPHONES in the air when they dance! I will get to that in a little by. We even got back a Satisfaction Survey from the couple. Best part of the night, guests were waving their cell phones to the music… Now I can say that I’ve seen it all!